Aspiring to make a mark in the world of style, here is the attire to breath life into your aspirations. 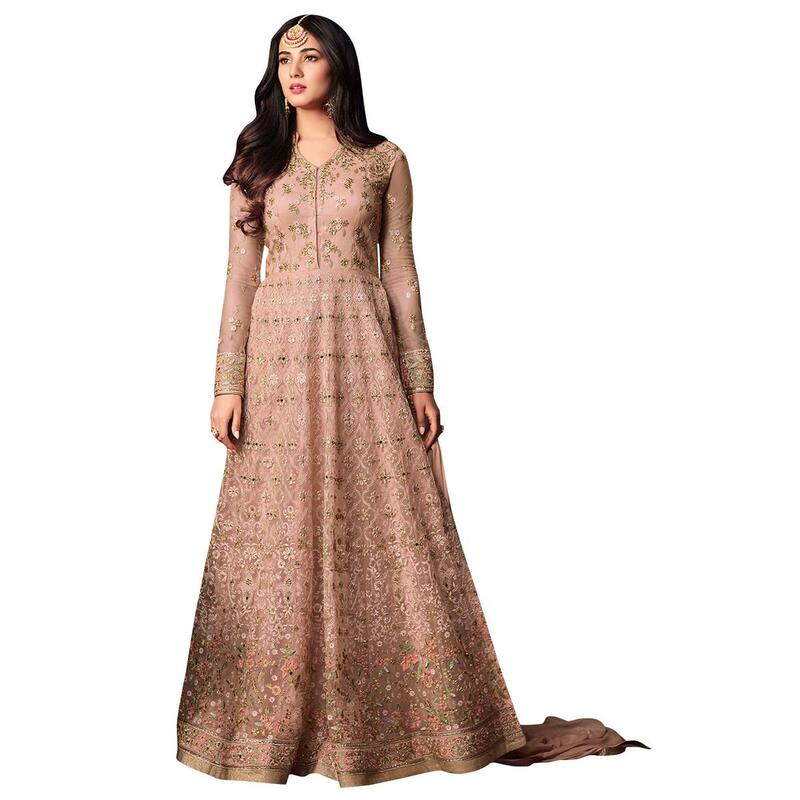 Steal the hearts away with this Innovative Light Peach colored netted floor length anarkali suit showcased by Sonal Chauhan. This semi stitched suit also comprises matching colored santoon inner-bottom and chiffon dupatta. The beautiful stylish pattern uniquely crafted heavy embroidery, sequence and stone work with lovely flair that makes this dress perfect for a modern woman. Specially designed to wear for wedding functions, receptions, engagement ceremony and family occasions where you want to be center of attraction. Team it with lovely accessories to make your looks more beautiful.